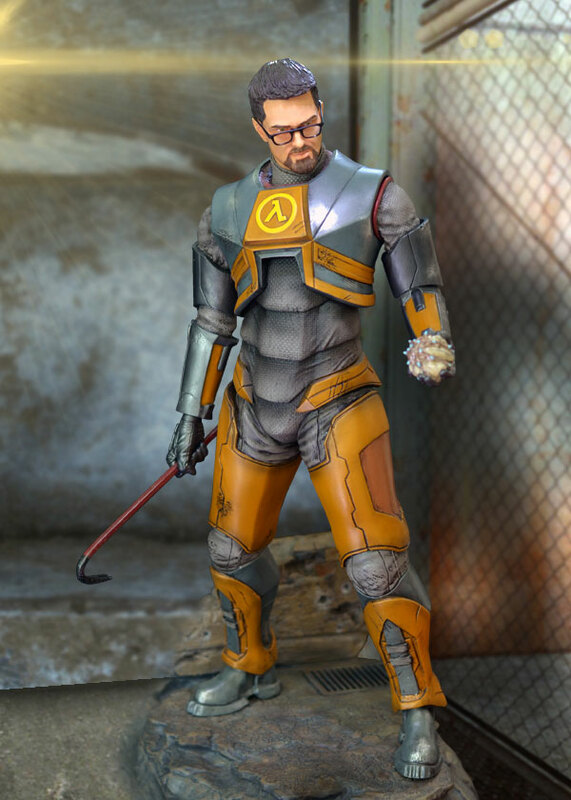 This is Gaming Heads’ limited edition 1/4 scale statue based on the character Gordon Freeman from the Half-Life 2 video game. Only 1,000 of these high quality statues will be made. Theoretical physicist and hero from the game Gordon Freeman stands with his famous crowbar in one hand and antilion-attracting Bugbat in the other. To be released direct by Gaming Heads in April 2013 and later than that via other vendors.